The area to the north of Cambridge was once a vast region of plant-rich fen through which the rivers Ouse and Nene meandered. Over the last 350 years, the Fens have been reduced through drainage to just a few, scattered pockets. The Fens receive little rainfall, but water from the Midlands and East Anglia filters through the surrounding rocks and collects in this low-lying area. 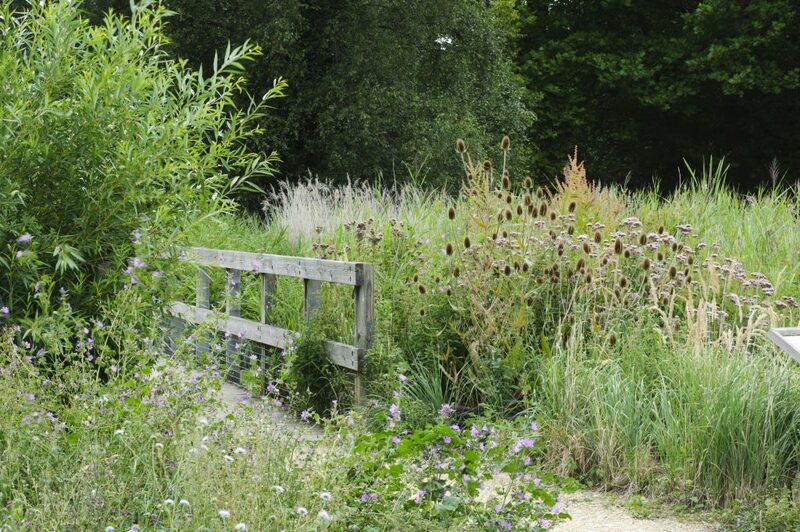 The Fen Display demonstrates the transition in the vegetation from deep, open water with waterlilies through reedbed and wet margins to woodland (fen carr) consisting mainly of birches and willows. 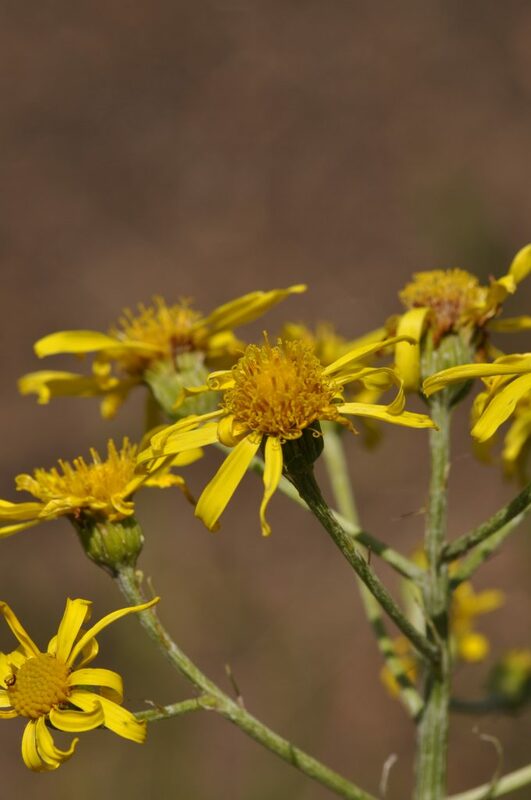 This range of habitats supports a rich and varied flora. 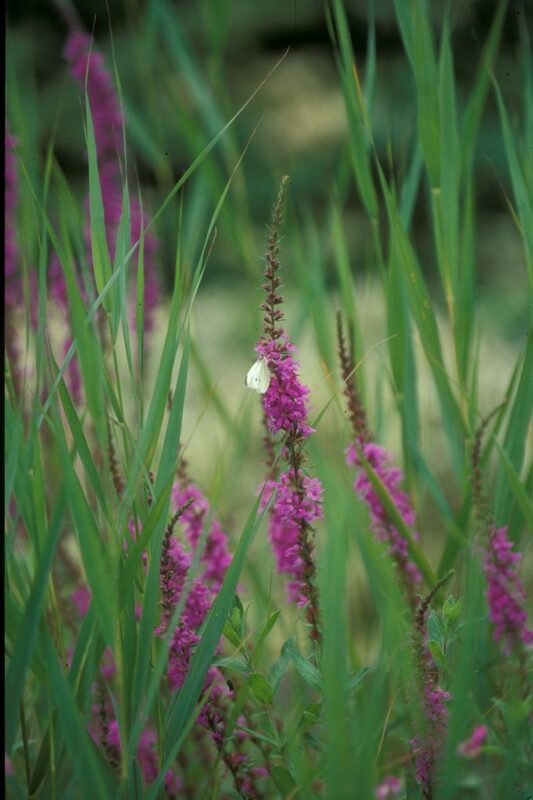 The visually-dominant plants are swathes of swaying reed (Phragmites australis) and reed mace (Typha latifolia), with vivid splashes of colour coming from purple loosestrife (Lythrum salicaria) and rich fragrance from meadowsweet (Filipendula ulmaria). 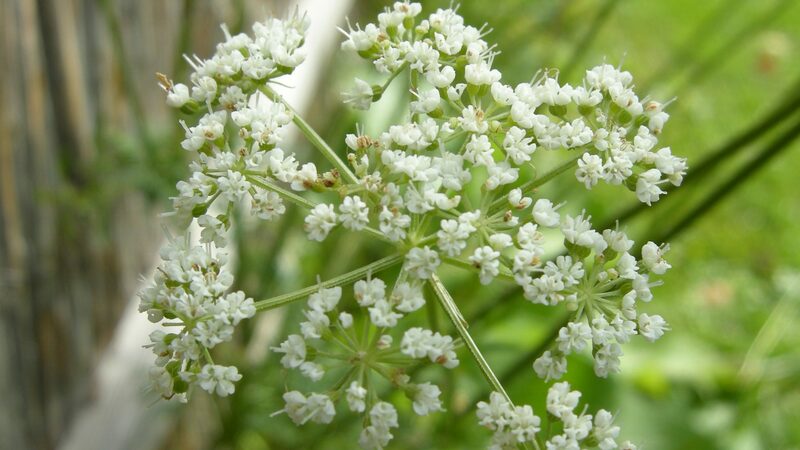 Many Fen specialities are represented including the rare Selinum carvifolium (Cambridge milk parsley) and Senecio paludosus (fen ragwort), thought to have been extinct in the wild for over a century until its chance rediscovery in 1972.